When it comes to a large brand opening its first retail location, Rochester is not usually tops on a company's list. Major brands open in NYC, LA, San Francisco, or places just a little bit bigger than our city. But that's not the case with BENRUS. While you might find some of their products in a handful of authorized retailers, our city is home to their FIRST retail store. The history of this company fits well within the history of where it opened up - the Culver Road Armory. BENRUS began in 1921 when 3 brothers (native New Yorkers) with the last name Lazrus saw an opportunity with the decline of the use of a pocket watch - wristwatches for the common man. In the 1940's BENRUS was given top secret government contracts for watches because of their innovation, superior quality, and precision. They manufactured one of the 1st waterproof watches for WWII divers and a watch that outfit all of the Unites States Air Force pilots. 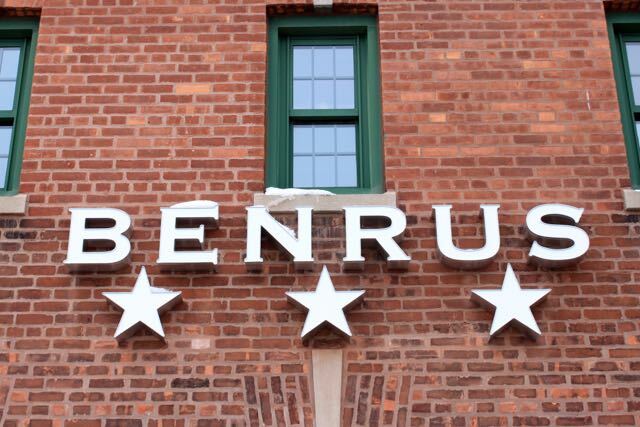 After the war, BENRUS turned their attention back to making civilian watches (find more of their heritage here). In similar fashion, the Armory also has quite a military history, as some of you may know. Completed in 1918, the Culver Road Armory originally housed the Rochester unit of the 1st New York Cavalry (read Retrofitting Rochester for more history). This historic watch company has now been resurrected into a military inspired lifestyle brand that expands beyond just watches to also include clothing, bags, and sunglasses. The transformation into retail stores has come through Giovanni Feroce, former CEO of Alex and Ani. 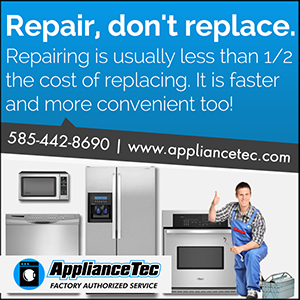 And, best of all, most of the items are being made right here in America. With locations to open next in Charleston, SC, Washington, DC, and Newport, RI, we're pretty excite they started here first. BONUS: for those curious about the name, BENRUS comes from the first and last name of the middle brother, Benjamin Lazrus, who was a WWI veteran. Stefanie is co-Founder and Editor of the Rochesteriat. She thinks ROC is the BEST city & is excited to WATCH it grow over the years to come. Find her with a camera & phone in hand, taking photos for @theRochesteriat on Instagram, Follow on Twitter.